If you already own a copy of Free, use the password found on page 223 in the Group Learning Guide to access eight supplementary videos. Why does chasing the good life make us feel so bad? We dream big and spend our money and time chasing our dreams—only to find ourselves exhausted, deeply in debt and spiritually empty. Mark and Lisa Scandrette realized at the beginning of their lives together that what they want, what they need and what they were being told to want didn't sync up. In Free Mark (with a little help from Lisa) shares the secrets of how they bought a home and raised a family debt-free in the most expensive city in the United States—and how they've enjoyed good relationships, good adventures and good food along the way. Packed with helpful exercises for getting a handle on your money story, and designed for healing and generative money conversations with friends, Free gives you a path to financial freedom and spiritual flourishing that awakens your heart and energizes your soul. Includes access to group study guide and 8 video sessions. "For Americans, freedom is an entrenched part of our national identity. But many of us have translated this iconic value into a posture of indulgence. We are free to buy what we want, say what we want and do what we want without regard to others or the environment. Mark and Lisa Scandrette have turned that notion of freedom on its head--we are free to embrace limitation, self-denial and simplicity. The good life as defined by 'American dream' usually includes a large home, multiple vehicles and fabulous amounts of disposable income. This book is an invitation toward a new vision of the good life, and it provides the tools necessary to take inventory of how we allocate our resources and apply them toward a better, more biblical and more sustainable vision. Free is detox for the soul. It leads us out of lives that are mired in material and temporal clutter. It is a gift to all of us who find that there is never enough time and money to live well." "In a word? REFRESHING! 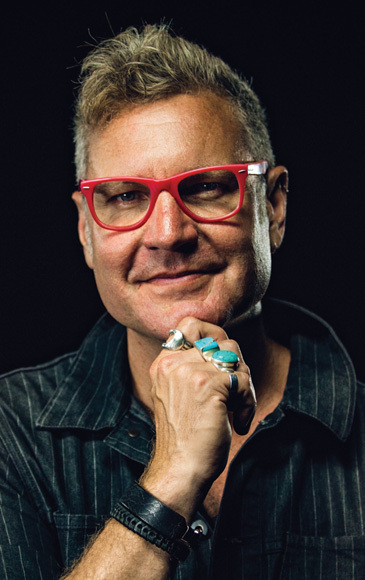 Mark and Lisa remind us of the seismic power in radical contentment, gratitude and generosity. You don't see that message in many places. Here is wisdom for the complexity of these issues and a simplicity that enables action. The result: free indeed." "I find that a growing number of people in our churches are under daunting financial and time pressures and can't find resources to help. Here is a masterful resource to enable people of faith to put first things first. Recently I had the opportunity to meet with Mark and Lisa and their congregation in San Francisco. I have never been with a group of Christians that have helped one another more in becoming faithful stewards of their lives and resources. 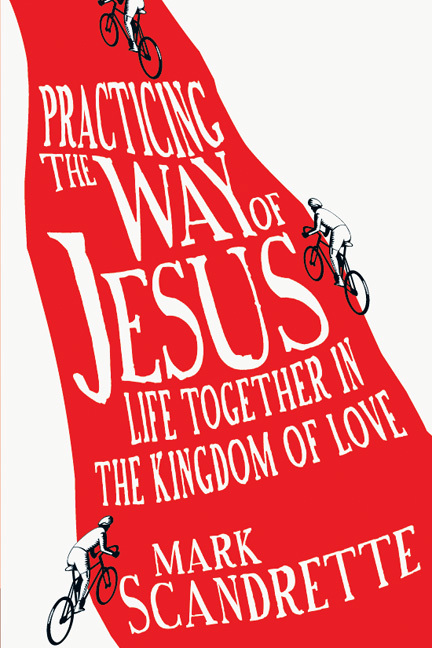 Mark's new book is not only a must-read, it is a must-study resource for every congregation that wants to enable their members to live more fully and compassionately in times like these." "This book is an invitation to embrace the radical way of Jesus, to repent and rejoice, to foster simplicity and generosity, to open our lives to love, and ultimately to be free. 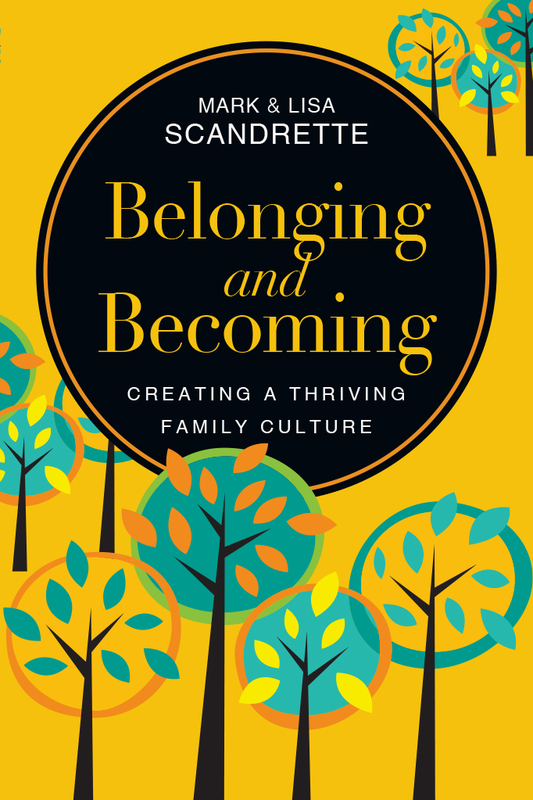 The Scandrettes have produced the kind of practical guidebook to simplicity that we could return to again and again over the coming years." "Part anecdotal novel, part workbook, Free illustrates both the mindset and the method by which one can discover a standard of living that allows for generosity, creativity, sustainability, gratitude and trust that 'what we have is enough.'" 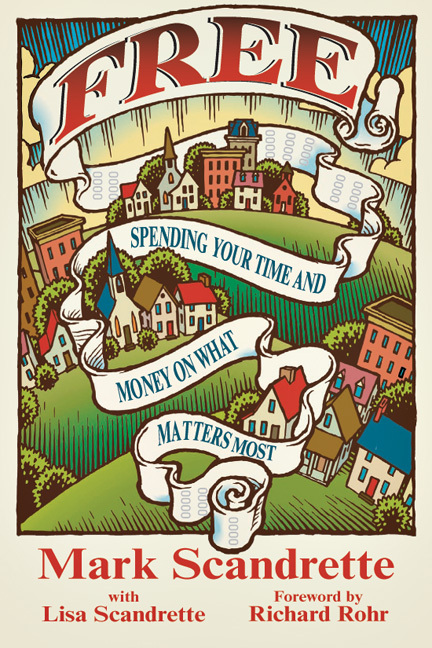 "This book, which addresses readers of some privilege and means, is eminently practical, filled with questionnaires, exercises, and worksheets covering everything from reflection on our deepest values to concrete inventories of our spending and use of time. A hopeful and practical guide for transforming our lives toward real gospel freedom." "Scandrette and his wife Lisa do more than repeat a compelling story familiar to adherents of the simplicity movement of a family living on astonishingly little money in an expensive city, in their case, San Francisco. Woven closely into this life narrative are a series of questionnaires and exercises to help readers find their own location on the scale of consumption, debt, and living according to one's deepest values. Undergirding this interest in probing the finances of simplicity lies the conviction that generous giving is at the heart of Christian living?a generosity at odds with a wider culture that insists that resources are scarce and people can never have enough. . . . The book's strengths include a lack of judgment that allows it to engage readers wherever they are financially and a willingness to enter into the nitty-gritty of how to achieve a simpler life." Download the Financial Worksheets from Ch. 5 to help develop your financial, comprehensive simplicity plan. Watch stories of people Living Free and a message from Mark one year later here.